Restaurant discovery and food ordering venture Zomato will now allow users to book restaurant tables online. 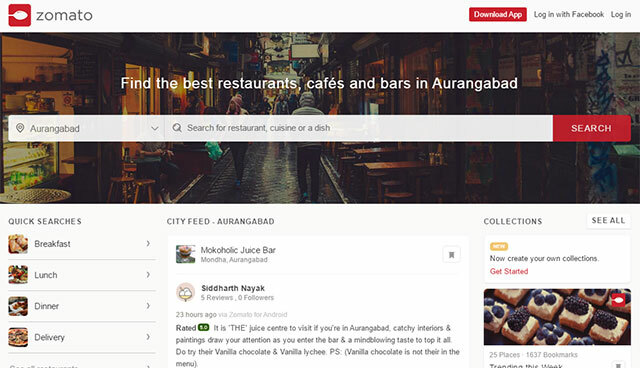 The company has launched Zomato Book, its new platform for table bookings, in about 500 restaurants across 21 cities globally, it said in a statement. The feature has been incorporated in the Zomato app and allows users to make, modify and cancel bookings, sync them with calendars, and send reminders prior to the booking time. Zomato Book also enables restaurant managers to maximise their seating capacity, estimate how long it will take a table to free up, and keep waitlisted customers notified on the availability of tables. Restaurants can also access data from a customer's past visits to their restaurant. Zomato claims that restaurants have used the product to seat about 2.5 million guests since the launch. The company started working on its table reservations product in April last year when it acquired Nextable, a US-based table management and booking platform. Zomato Book has been in testing phase since November. In the table reservation segment, Zomato Book will compete with journalist Vir Sanghvi-backed restaurant reservation firm EazyDiner and Times Group-owned Dineout Services Pvt Ltd, the company that owns online restaurant reservation website Dineout. Zomato was recently in the news for shutting down its online food ordering service in four cities—Lucknow, Kochi, Indore and Coimbatore. In October, it laid off around 300 employees worldwide, or nearly 10 per cent of its workforce, joining a growing list of Indian startups that are shedding jobs as they try to control costs and sustain investor interest. Zomato has so far raised $225 million in external funding. A large portion of the money raised was spent in acquiring companies so that it could build a global business. Zomato is believed to be valued around $1 billion following the fourth round of capital infusion in September.